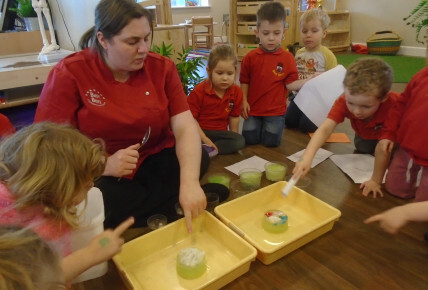 National Science Week has started in nursery, with the children exploring a variety of scientific principles. 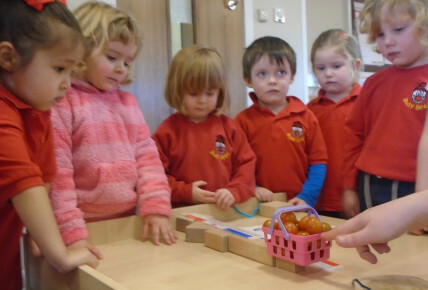 They have been working together as teams to build bridges, using different materials to transport a basket of tomatoes without them falling out. This kept the children engaged for nearly 45 minutes, as they built, tested and re-evaluated their construction. This afternoon they explored how to best melt ice, drawing pictures of things they thought would work, such as the sun and lava, and experimenting with salt and water to rescue the toys trapped inside. They also looked at surface tension, by poking pencils through a bag full of water and questioned why it did not leak. 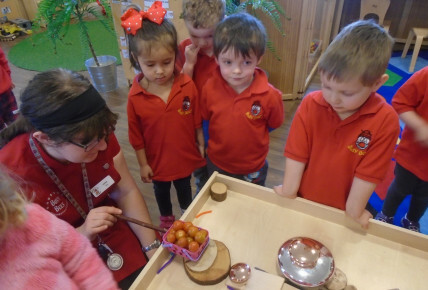 These activities promote logical thinking, trial and error methods of problem solving, fine motor skills and a greater understanding of the world and how things work.